Arsenal Pulp Press, 9781551527444, 240pp. Sixteen-year-old Bart Lively desperately wants to feel comfortable in his own skin. 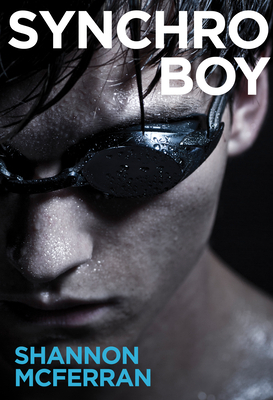 Sure, he's a competitive swimmer, but being a jock doesn't mean he isn't the target of gay jokes, and the macho culture of his swim club is wearing him down. At the same time, he becomes drawn to the art and athleticism of synchronized swimming, the idea of the human form moving to music under water. So he jumps at the opportunity to become the first boy on the synchro swimming team, even if it means others start questioning his masculinity even more. He starts finding himself attracted to his teammate Erika, and when she asks Bart to swim with her in a brand new event, the mixed duet, he commits to taking them all the way to the Olympics. But Bart's difficulty at achieving the skills he needs, and Erika's sudden decision to quit the duet, threaten to derail his dream and kill what made the sport so liberating and alluring in the first place. And it doesn't help that as he falls in love with Erika, he's falling in lust with her enemy and synchro rival Chelsea ... not to mention a cute boy in the diving club. Ultimately, Bart will have to give in to his intuition that leads him to realize there are many ways to be a boy. If he doesn't, he'll not only lose his friendship with Erika, but his new Olympic dream--and the joy he feels as he dances in the deep. Shannon McFerran studied writing at the University of Victoria, and earned an MFA in Creative Writing from the University of British Columbia. She has published short stories in numerous literary magazines and a YA anthology. Synchro Boy is her first novel.